Art Impressions newest challenge is Hip to be Square. 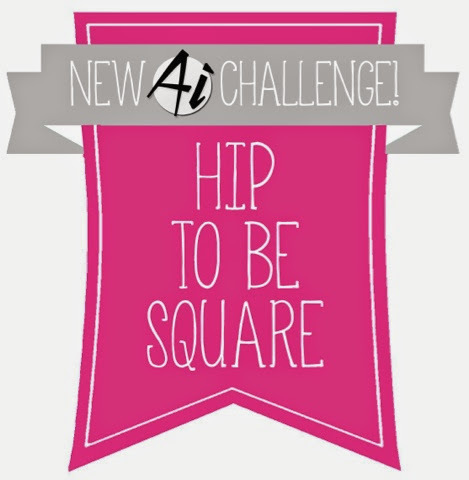 This challenge is looking for square bases and then you can add square embellishments and such as well. So creative. I don't have a big selection of Ai stamps...yet. BUT my collection is growing! This is one of my very first purchased Art Impression stamp set. Here is my creation using Picture Perfect. I love these gals! They always make me smile. And this image is no different. I chuckle every time I look at them. 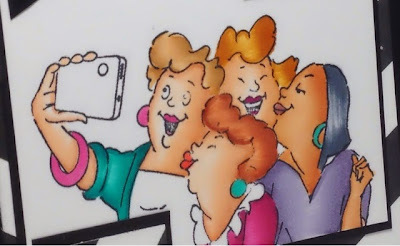 And who doesn't love a group selfie!?! 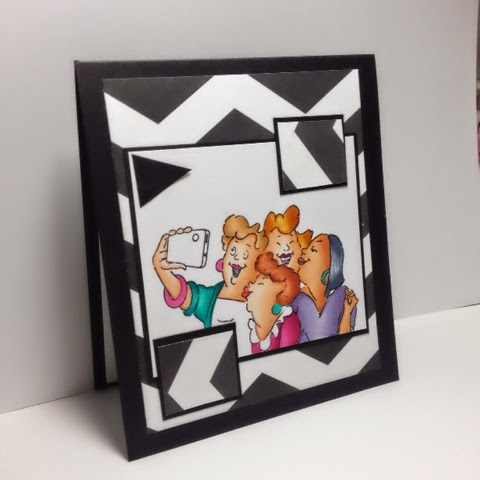 This image is colored using Copic markers and I used Chevron black and white paper to kind of create a visually looking effect. Plus, I had to add a little triangle just to be a rebel among all squares. He-he! That's me...a wild rebel. Yeah. Right. Great card, the black and white really make the image pop ! Great card! I love the layout with your paper selection. Very bold print that makes for a striking card. Your coloring also is fabulous.